Boutique on Main was welcomed to Fayette County and Chamber of Commerce membership on Friday, Feb. 8. Located at 145 N. Main St. in Washington C.H., this new boutique offers clothing, accessories, shoes, home décor and custom shirts. Owners Lisa Faber and Ashley Fluent have created a unique boutique in the heart of Washington Court House where everyone is sure to find something special. 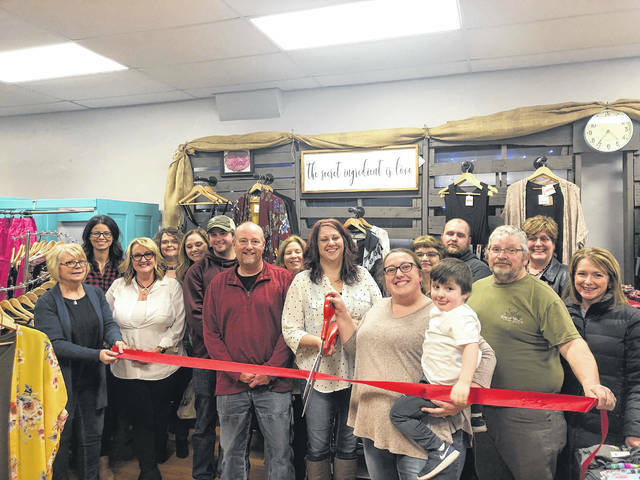 https://www.recordherald.com/wp-content/uploads/sites/27/2019/02/web1_IMG_2942.jpgBoutique on Main was welcomed to Fayette County and Chamber of Commerce membership on Friday, Feb. 8. Located at 145 N. Main St. in Washington C.H., this new boutique offers clothing, accessories, shoes, home décor and custom shirts. Owners Lisa Faber and Ashley Fluent have created a unique boutique in the heart of Washington Court House where everyone is sure to find something special.